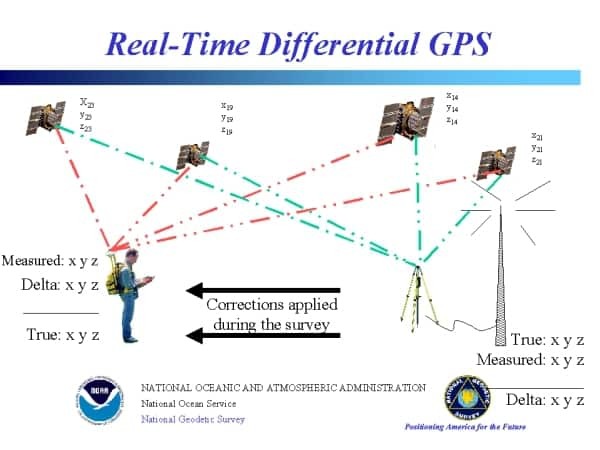 Tech update: But… what is RTK GNSS? Global Navigation Systems (GNSS) for civil use, like GPS, GLONASS, Galileo or Beidou, can reach under excellent conditions an absolute accuracy of around 1-3 meters, in a few seconds. This accuracy can be reduced to a few decimeters, only under static conditions and after a long survey time (24 hours). Real-Time Kinematic (RTK) positioning, is a technique used to solve this limitation. By performing measurements of the same satellites signal, from 2 nearby units, we can extract the common errors, and achieve a very high relative accuracy, that can reach 5 centimeters. If in addition, we know the absolute position of one unit (also called “Base”), we will also have the position of the “Rover” with high absolute accuracy.